KLIA Express and KLIA Transit service are the best travel solution to experience after a long and tiring flight journey. Travellers coming in from KLIA, KLIA2 or even if they are already at the KL Sentral can save a lot of time in choosing to travel by train. Whether the travellers are flying in or out the city, Easybook is here to provide an easy-to-use online booking system for train tickets without needing to go through much hassle. No matter where you may be in the world, book the KL Ekpress and KL Transit train tickets ahead of time to avoid disappointments. This is because Easybook offers a wide range of ticket options for our customers to choose from daily. 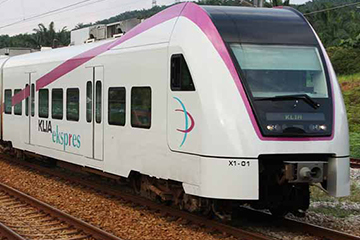 Currently, Express Rail Link (ERL) is the main train system operating both KLIA Express and KLIA Transit services. 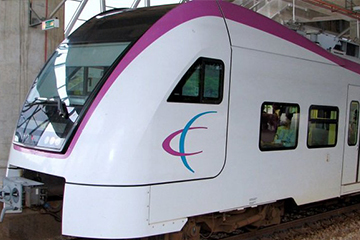 Launched in 2002, ERL has been a popular transportation mode among many passengers as it offers fast and convenient journey for everyone to travel with. 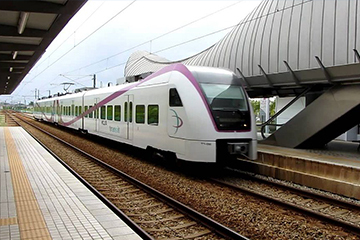 To date, ERL high-speed rail service had transported more than 75 million passengers and have successfully achieved 99. 7% on-time record since 2002. KLIA Express is a direct airport rail providing train service from the KLIA/KLIA2 to KL Sentral train station, which takes approximately 33 minutes to arrive. Meanwhile, KLIA Transit served rail service with three additional stops between the KLIA/KLIA2 and KL Sentral, Among the other stops provided by KLIA Transit service are Bandar Tasik Selatan, Putrajaya and Cyberjaya, as well as Salak Tinggi station. Both train service shares the same tracks that connect KL Sentral to the Kuala Lumpur airports. With frequent ERL schedule provided for the travellers, passengers would always be able to reach their destinations on time. Among the most popular routes recorded with Easybook are the routes between KLIA/KLIA2 and KL Sentral station. KLIA Express and KLIA Transit are not only providing systematic train schedule for the passengers, but they are also well-equipped with basic amenities to satisfy the need of the people who are on board with these train services. The passengers can stay connected when they are boarding the trains as high-speed internet are available for passengers to use for free. Get some last-minute tasks done with the service provided by YES 4G of Yes Communications. Also, all the trains are disabled-friendly and unisex toilet is provided for public usage. On top of that, flight check-in at KL Sentral is also served so that travellers can avoid the rush upon arriving at the airport. Companies such as Cathay Pacific Airways, Etihad Airways, Malindo Air, Royal Brunei, Emirates Airline and Malaysia Airlines have given KLIA Express passengers in Kuala Lumpur the chance to enjoy this time-saving service. All you need is a valid train ticket to utilise this facility and to check-in here at least 2 hours before the flight departure time. The amazing thing about travelling by either train is that it arrives very frequently, so travellers are still able to plan their time accordingly without having to be afraid to miss the train. KLIA Ekspress leaves every 15 minutes during the peak hours and 20 minutes at off-peak hours. The journey takes 28 minutes to KLIA and 33 minutes to KLIA2. The first train departure from KL Sentral is scheduled at 5:00 AM and last train are at 12:40 AM. If travellers are travelling from KLIA2, the first train starts as early as 4:55 AM, with the last one at 12:55 AM. Do check the KLIA Express timetable available online to book your train according to a preferred schedule. The fares for a one-way KLIA Express price is RM55 for adults and RM25 for children aged 2 to 12 years old. For return trips, it is RM100 for adults and RM45 for children. ERL KLIA Transit leaves every 15 minutes during the peak hours and 30 minutes at off-peak hours. The first train departure from KL Sentral is scheduled as early as 4:33 AM and the last train is at 12:03 AM. For those travelling from KLIA2, the first train starts at 5:18 AM, with the last one at 12:59 AM. As for the KLIA Transit fare, it can vary depending on the stops. For instance, the fares for one-way KLIA Transit price from KL Sentral to Bandar Tasik Selatan is RM6.50 for adults and RM2.90 for children. Meanwhile, the price from KL Sentral to Putrajaya and Cyberjaya station would cost more, which is RM14.00 for adults and RM6.30 for children. The ticket price from KL Sentral to Salak Tinggi will cost RM18.30 for adults and RM8.20 for children aged between 2 to 12 years old. The fares for one-way KLIA Transit price from KL Sentral to KLIA/KLIA2 is RM55 for adults and RM25 for children. Please check the official website for a more detailed timetable. Book Premium KLIA Ekspres & ERL Transit with Easybook Now! KL Sentral is essentially the main hub for travellers out of town that is planning to board the train to the airport efficiently. Upon arriving at KL Sentral, travellers will be able to find various other train services that will take them to their destination. Do check the KLIA Express and KLIA Transit timetable available online to book the train according to a preferred schedule and passengers can check to see the affordable ticket price to their selected destinations. Most importantly, KL Ekspres and KL Transit services are always ready to help start that journey for you upon booking the train tickets available via Easybook now!